Buried treasure in Maryland can be found if you have the right amount of knowledge, and equipment. First, you need to understand that finding lost treasure is not just about the search, more important is you need lots of information. You should research the information I have given you on this page. Be like a detective. Search out old books, old newspapers, visit historical societies, ask questions, about the treasure you are looking for, and never give up. 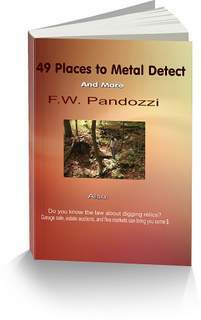 You will also need a reliable metal detector. If you do not own a detector, but are thinking of purchasing one don't over spend. You can get into the hobby for a few hundred dollars. There are many detectors that are low priced that even some pro's use. Read the owners manual, learn how to use it, and begin your adventure. Anyone can find a hidden treasure. Start small by going to parks and schoolyards and dig everything. It's the only way to learn. Have fun in your search for treasure in Maryland. Bloodsworth Island in the Chesapeake has produced a large amount of French and Dutch coins from the mid 1700’s. The coins have been found along the beaches of the northwest corner of the island. Holland Island is located approximately 5 miles south of Bloodsworth Island in northern Chesapeake. Stories are told of Dutch gold and silver coins from the 1700’s being found on the western end of the Island. There may have been an early Dutch settlement on the island, or perhaps a Dutch ship wrecked close to the island. The Poor House Treasure supposedly consists of gold coins worth $30,000. They were buried in the ghost town of of Plaindealing, which was located approximately 2 miles east of Hurtock. The Harold Smith farm may hold a treasure worth $100,000 in gold coins. Apparently, a murderous, slave trader by the name of Patty Cannon, buried several caches on the farm. Before committing suicide, Patty confessed in her will that she had buried the treasures. Patty Cannon also owned a tavern on the Nanticoke River near Riverton. Rumors are that Patty buried treasures near the tavern also. If you don’t follow this law, you may get arrested. 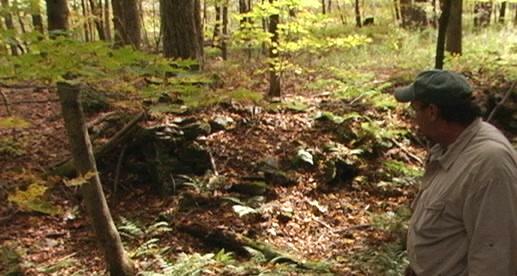 Buried treasure in Maryland may be located in ghost towns.